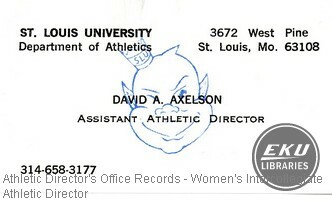 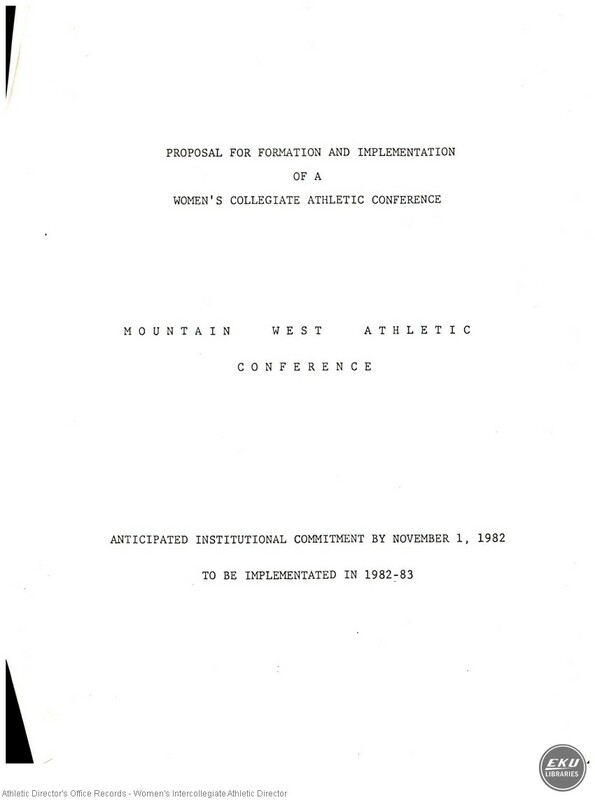 Contains a proposal to form an athletic conference for women. 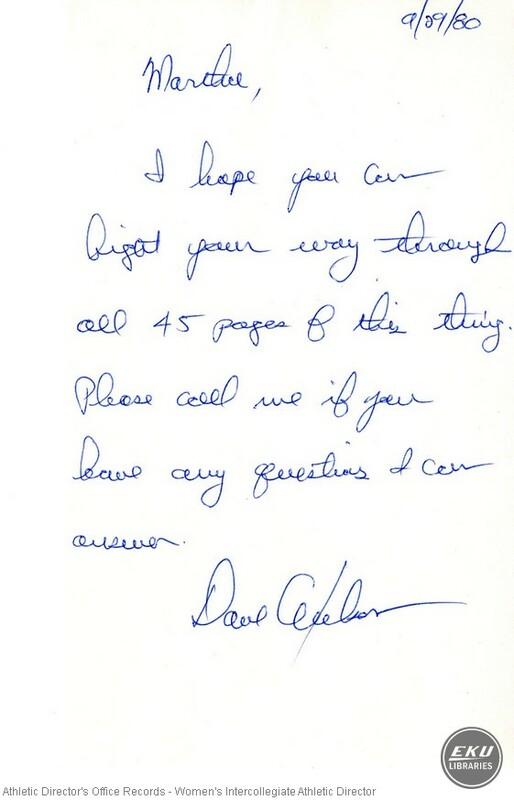 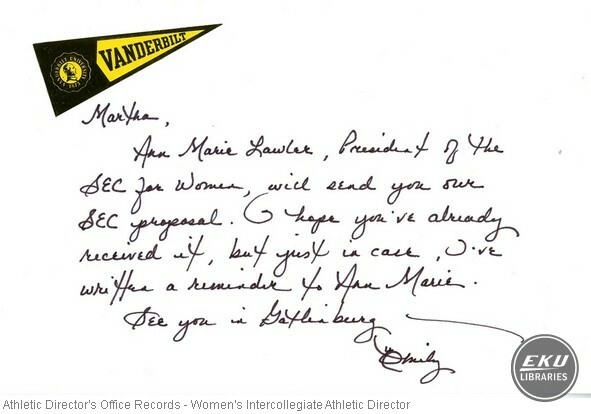 Also includes a business card, handwritten notes, and correspondence related to the proposal. 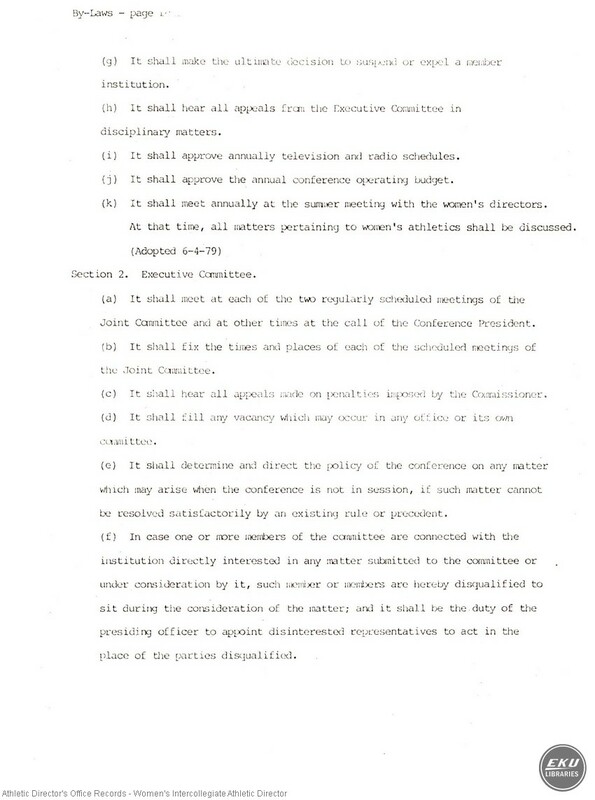 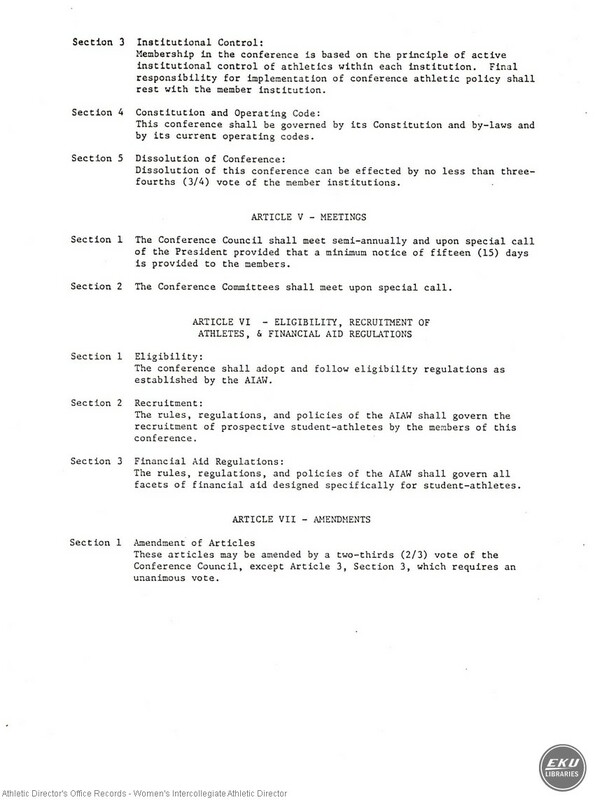 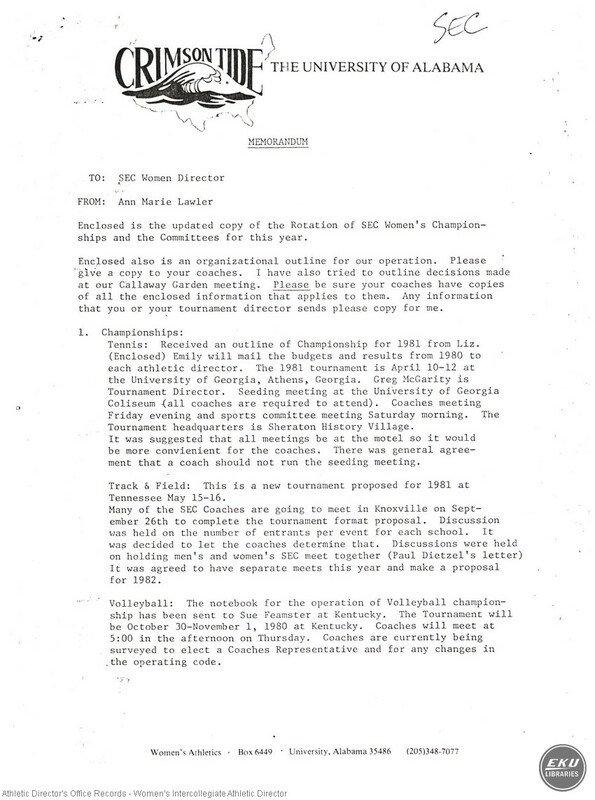 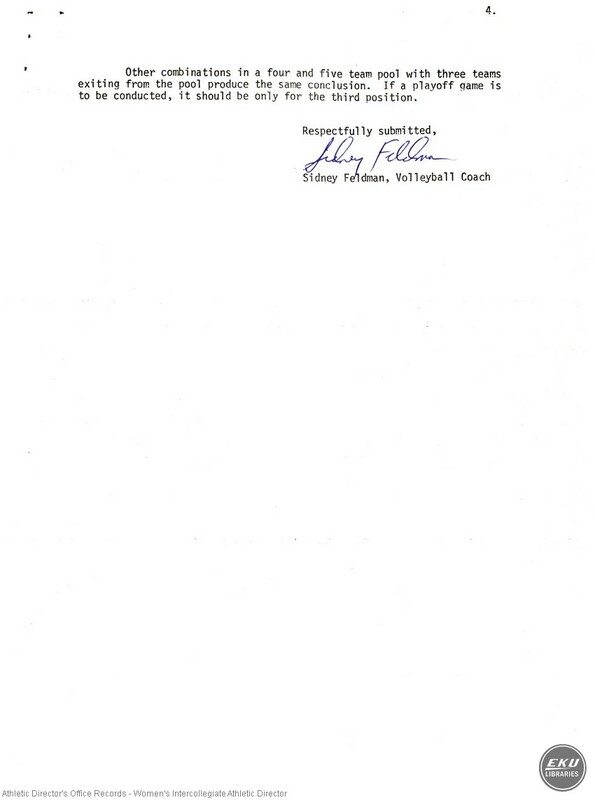 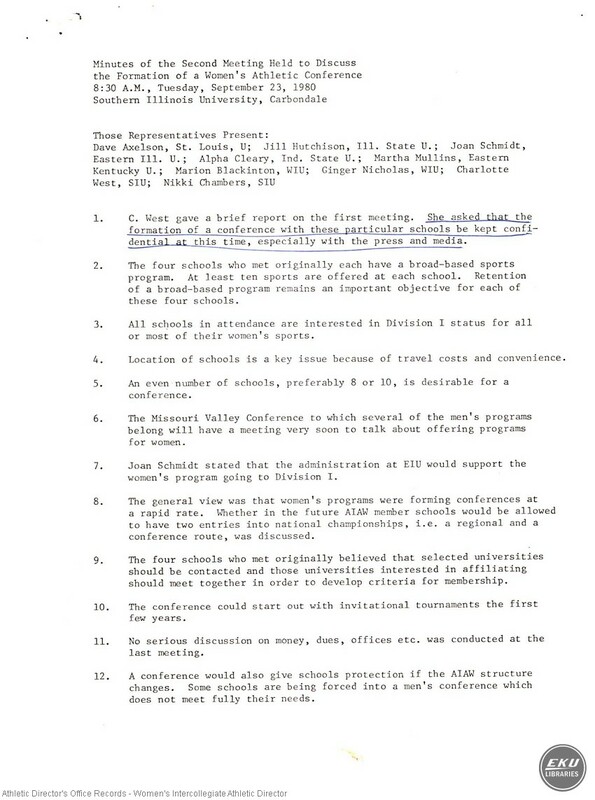 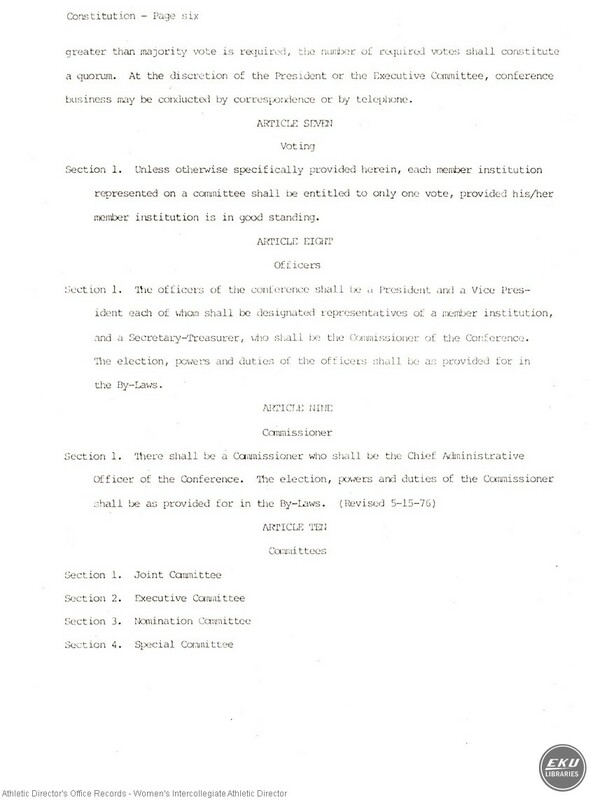 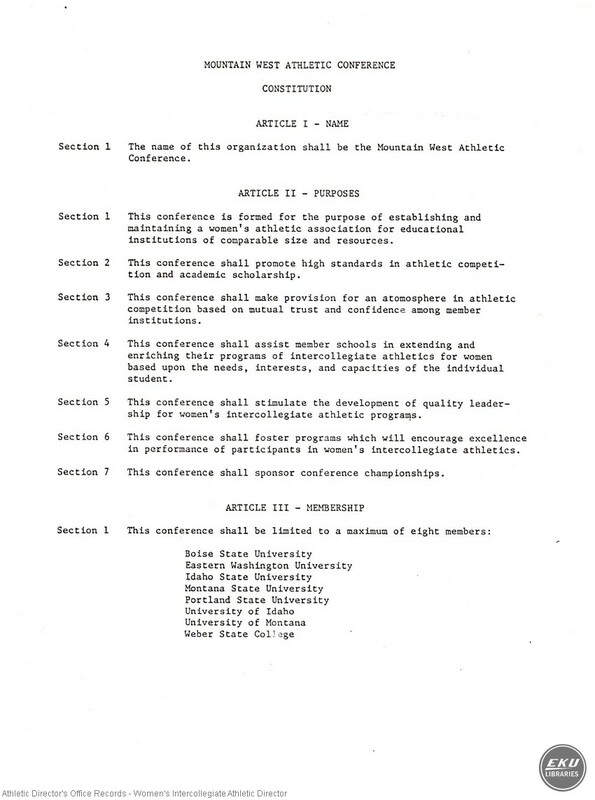 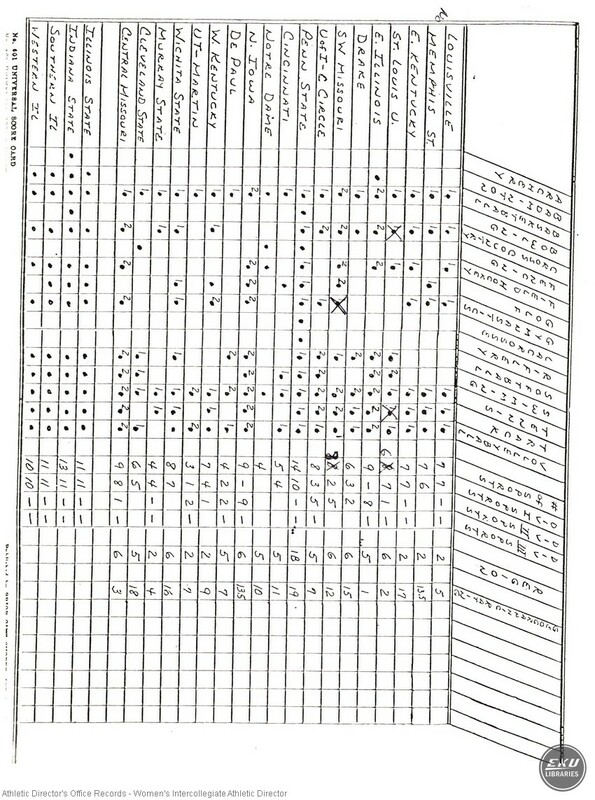 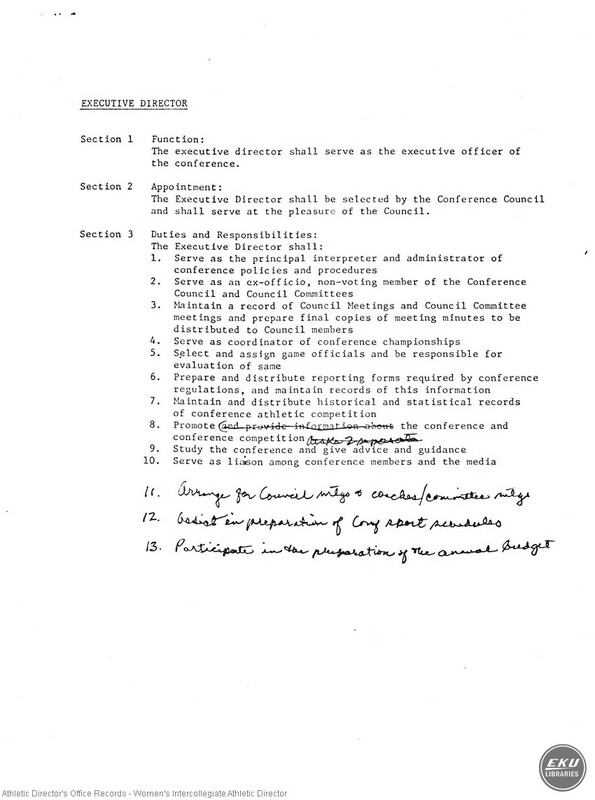 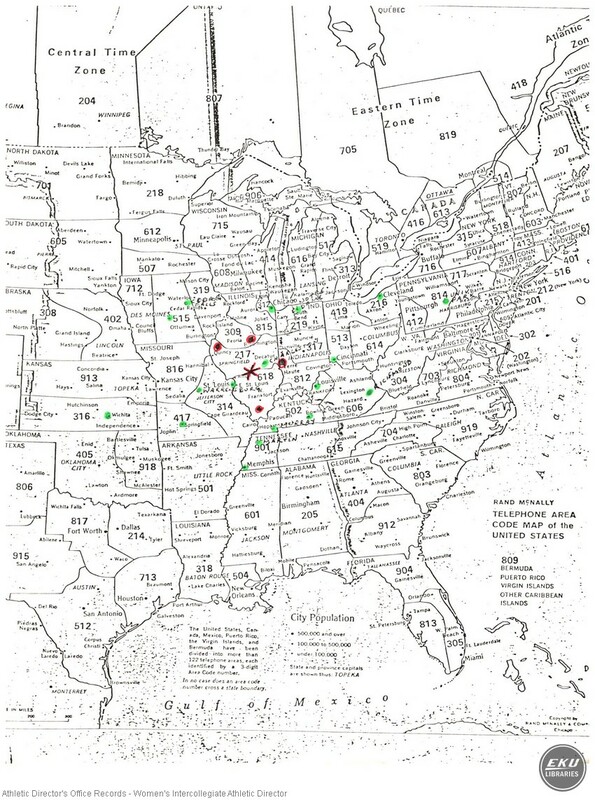 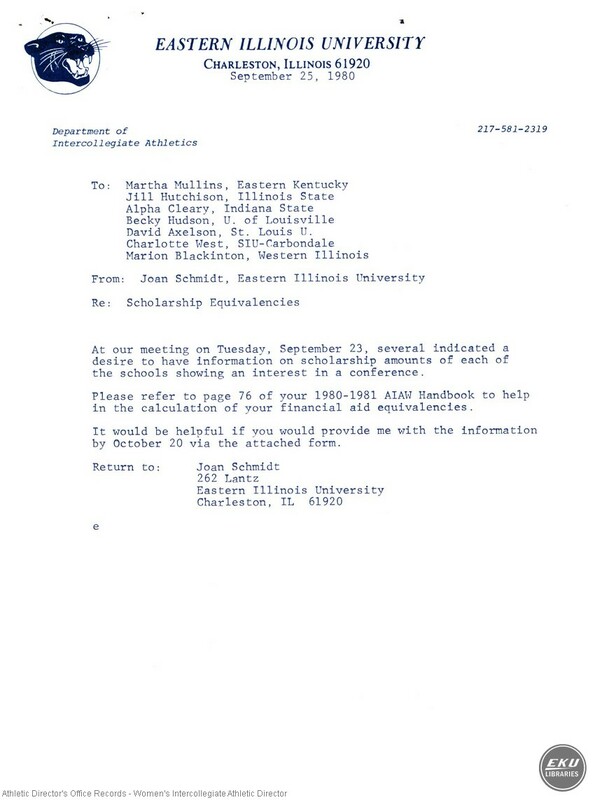 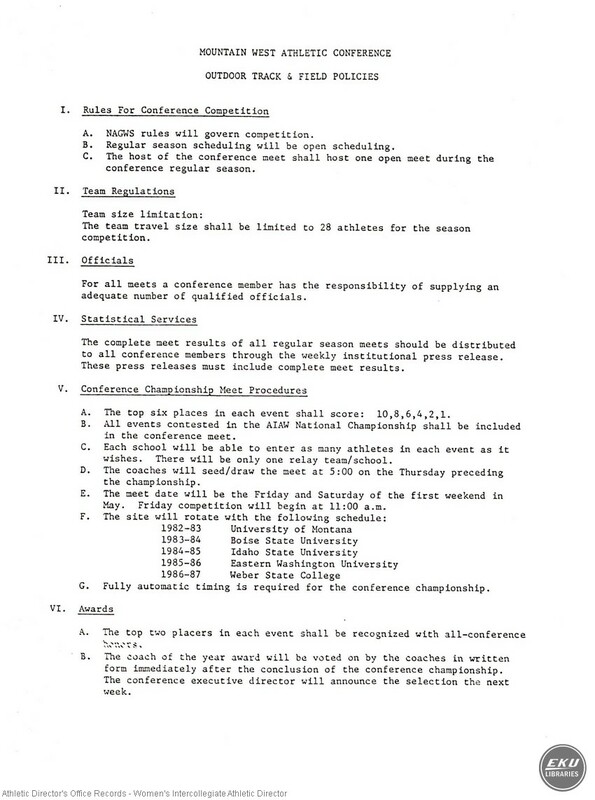 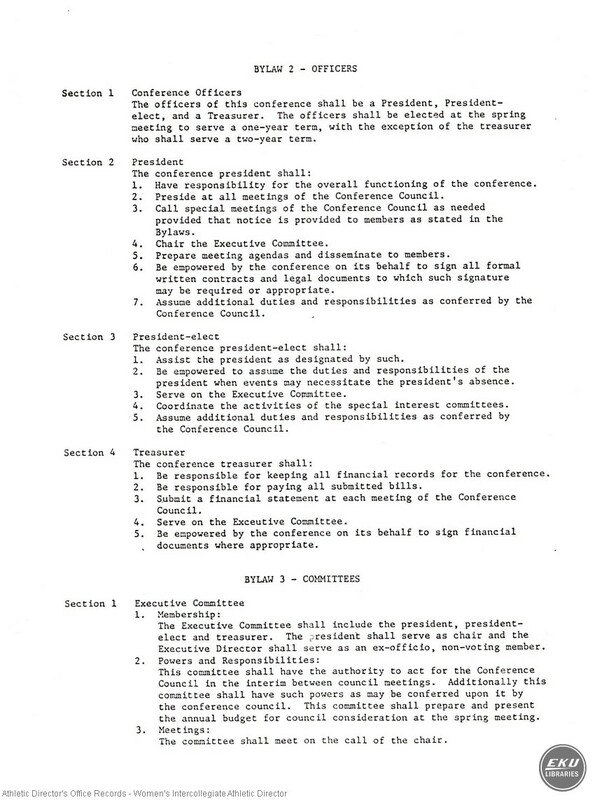 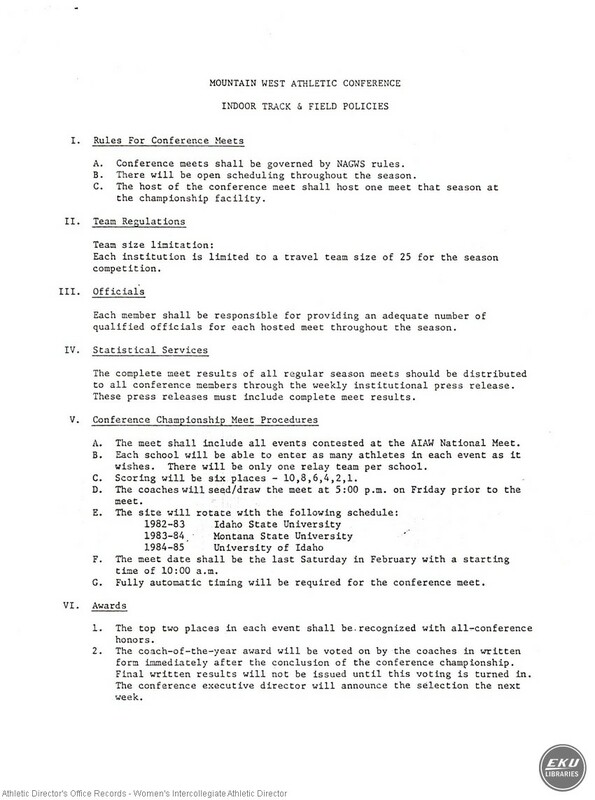 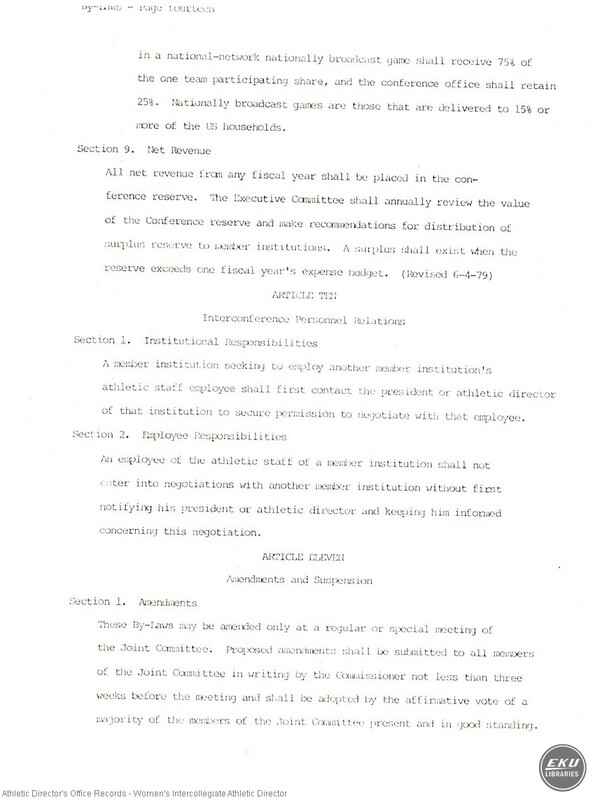 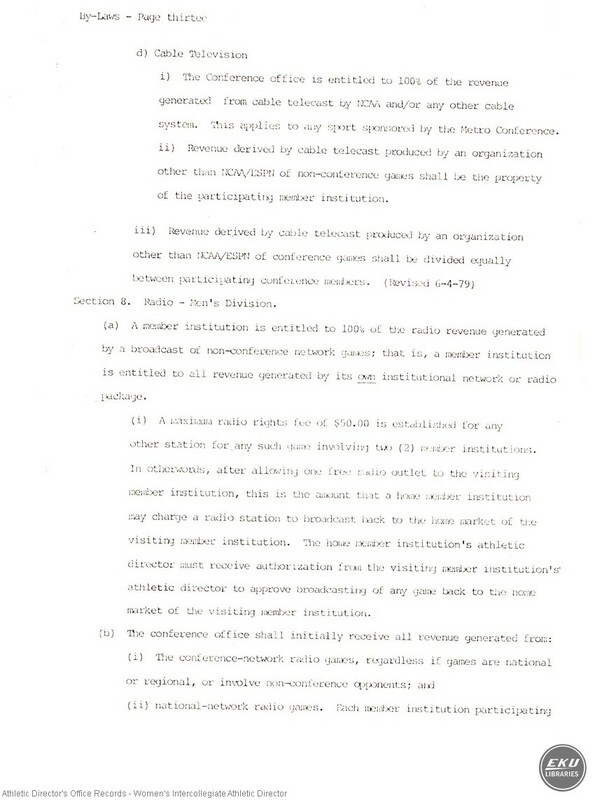 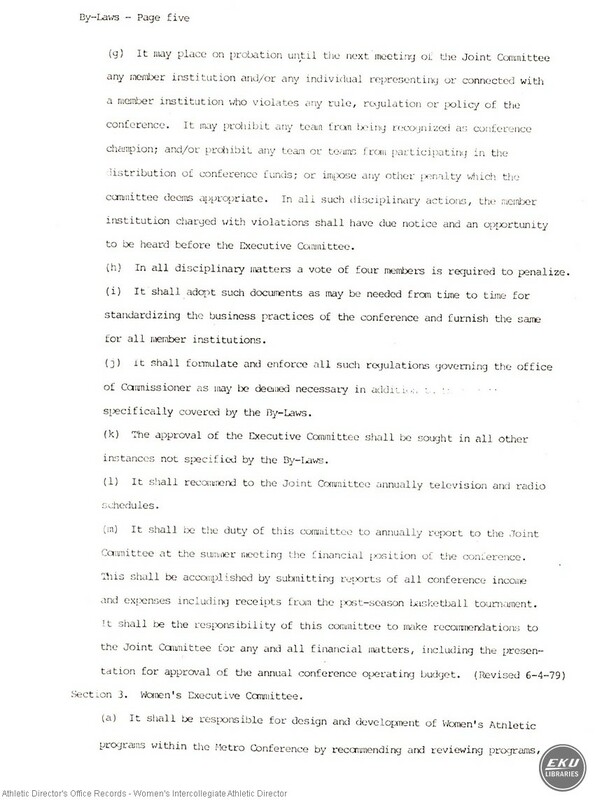 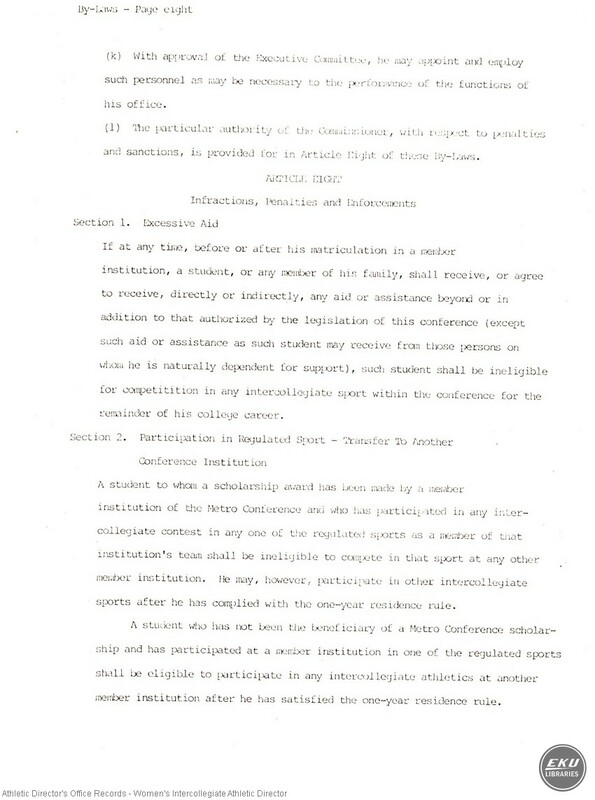 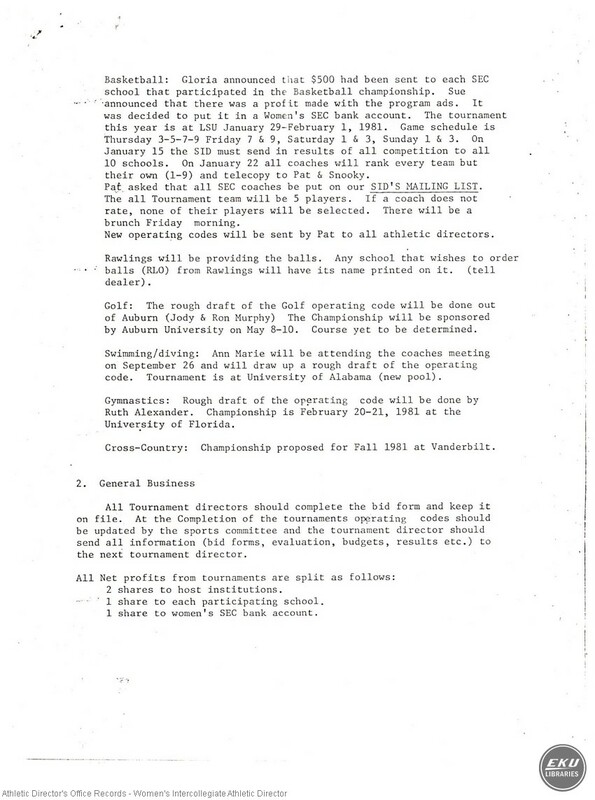 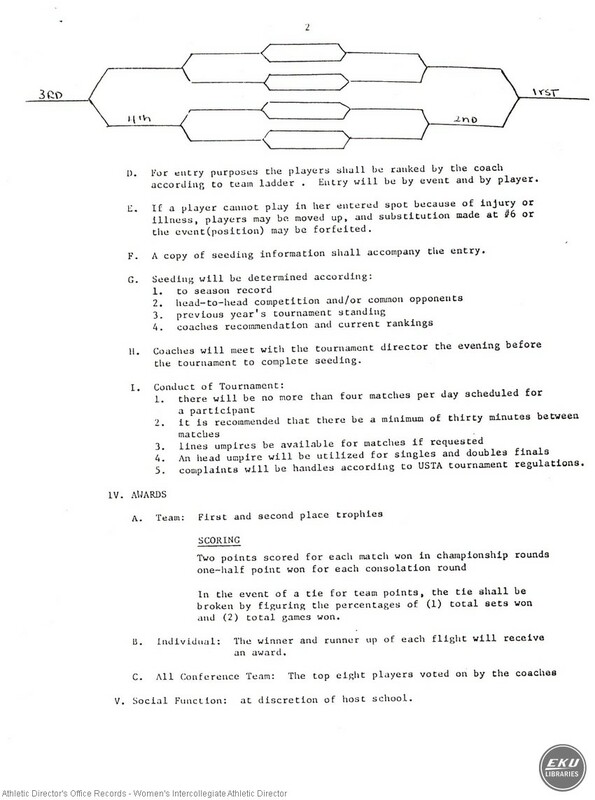 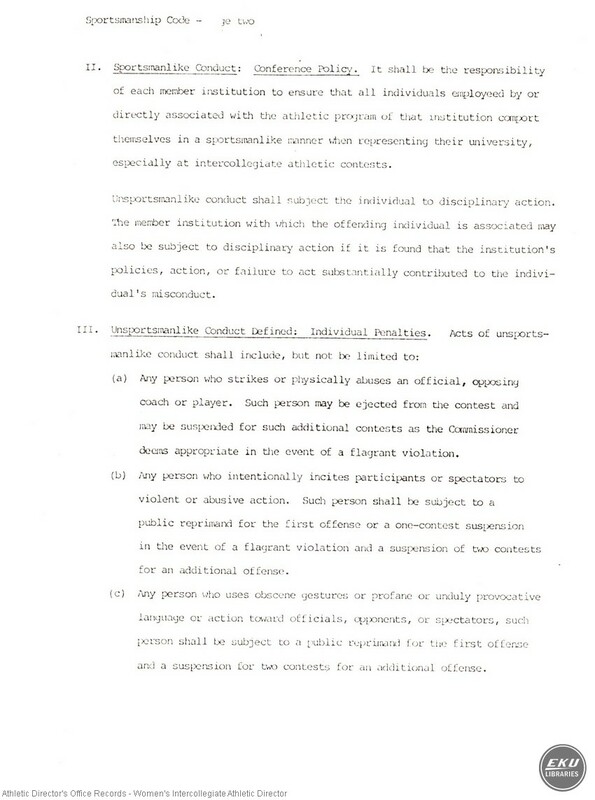 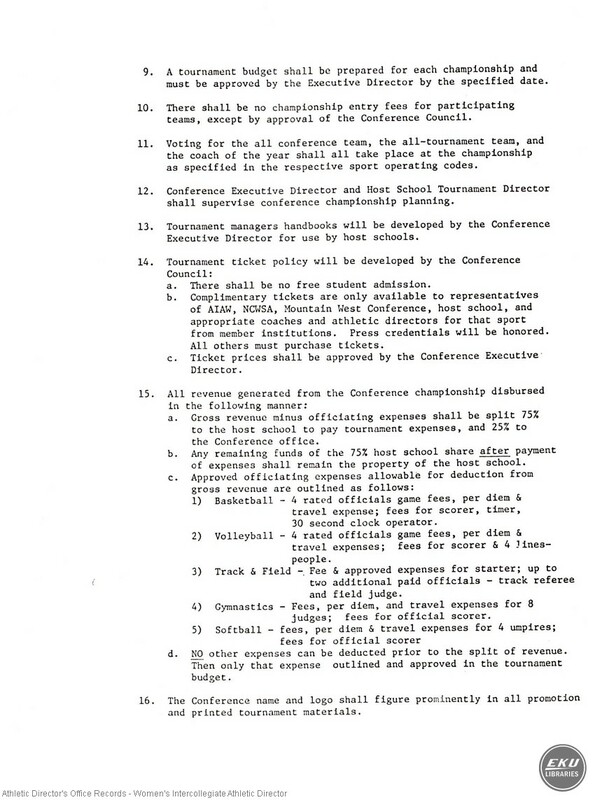 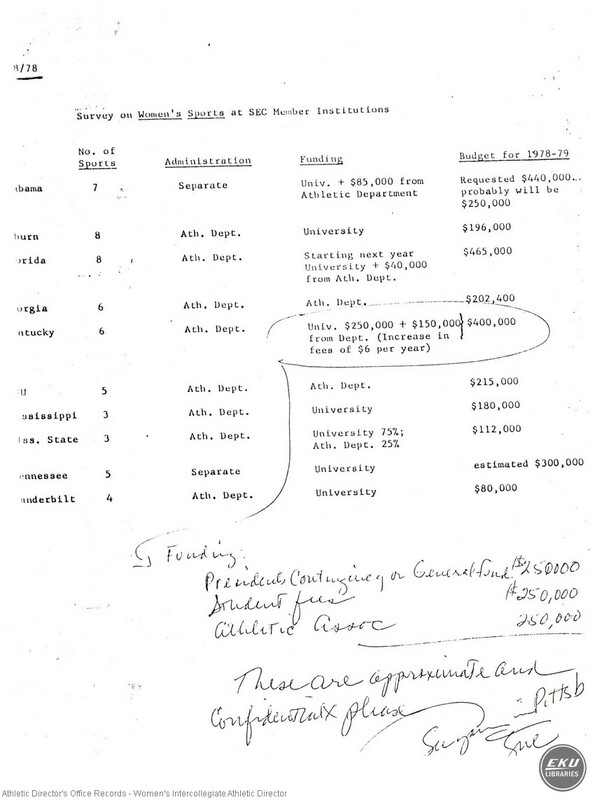 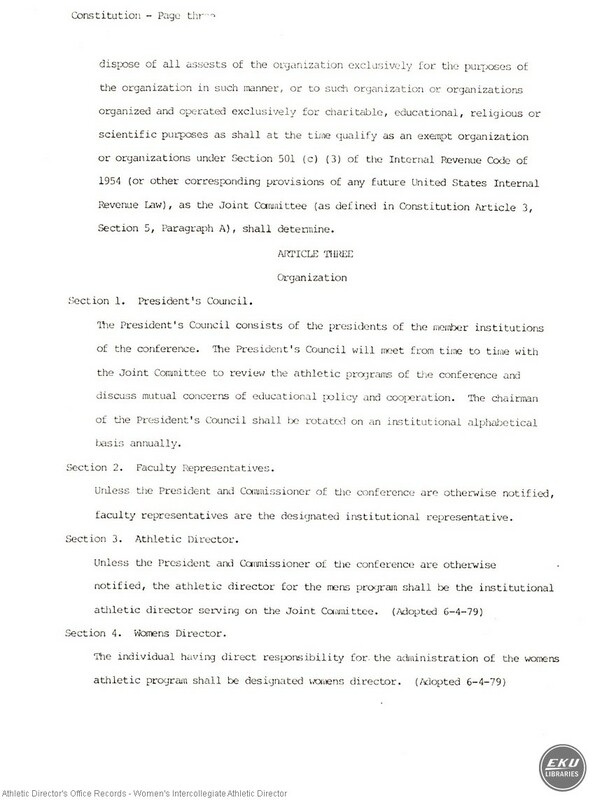 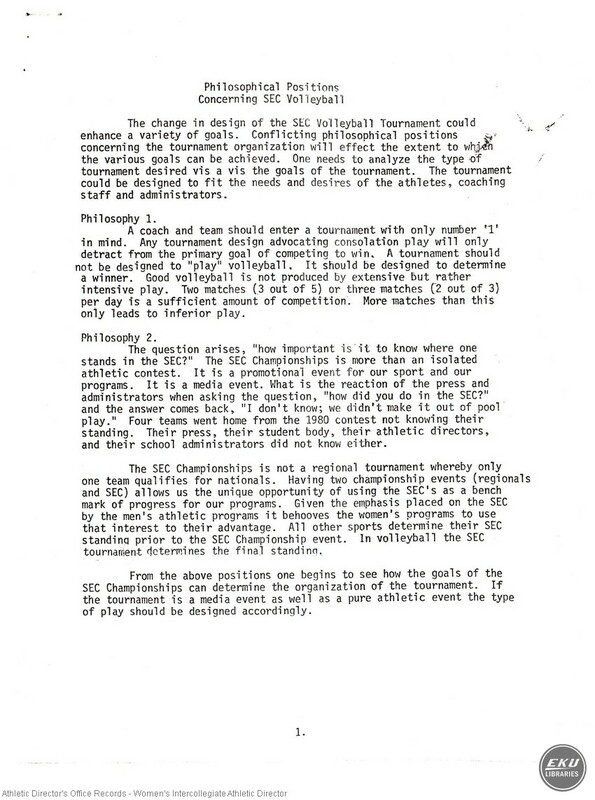 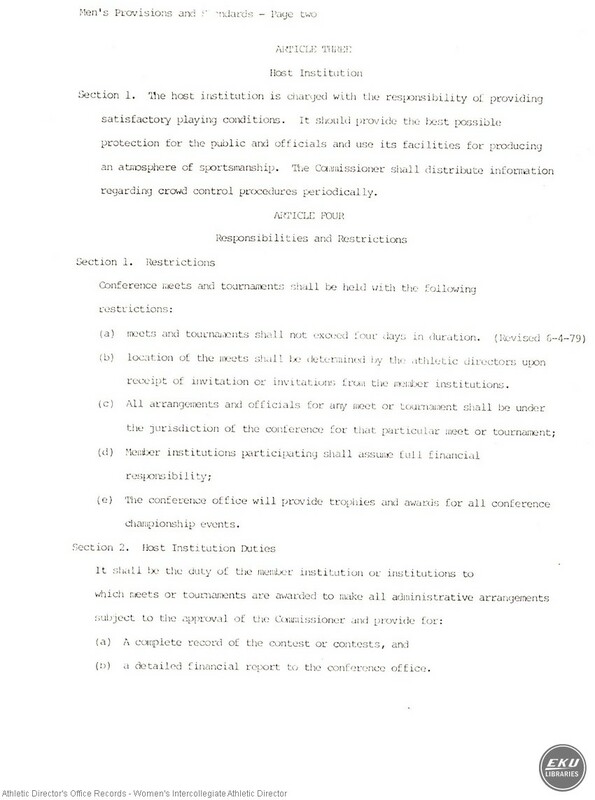 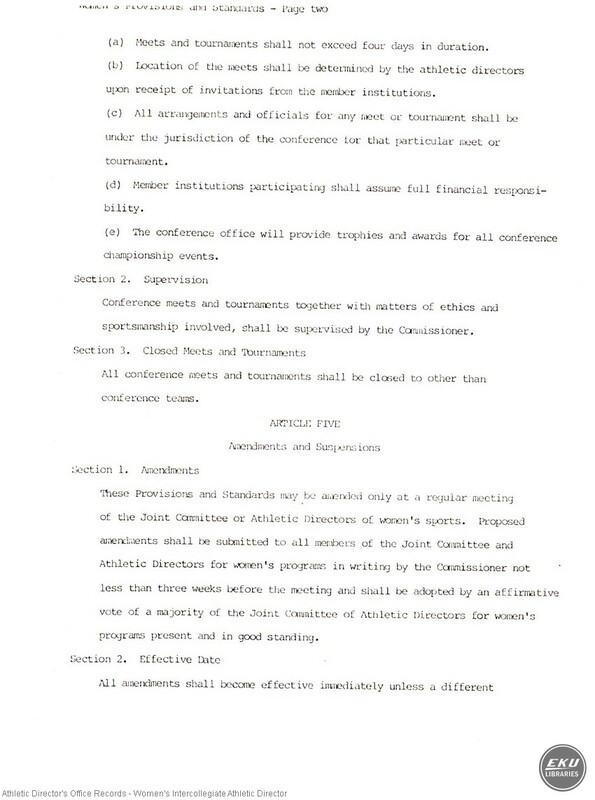 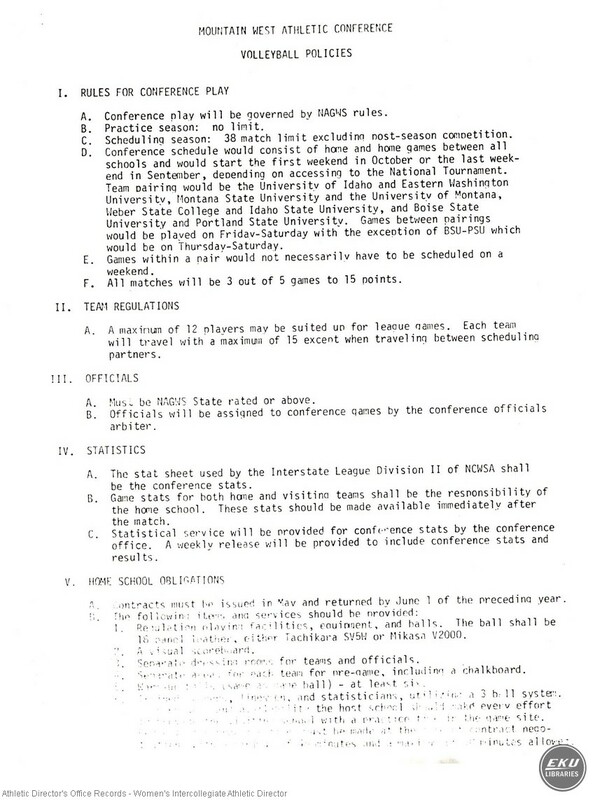 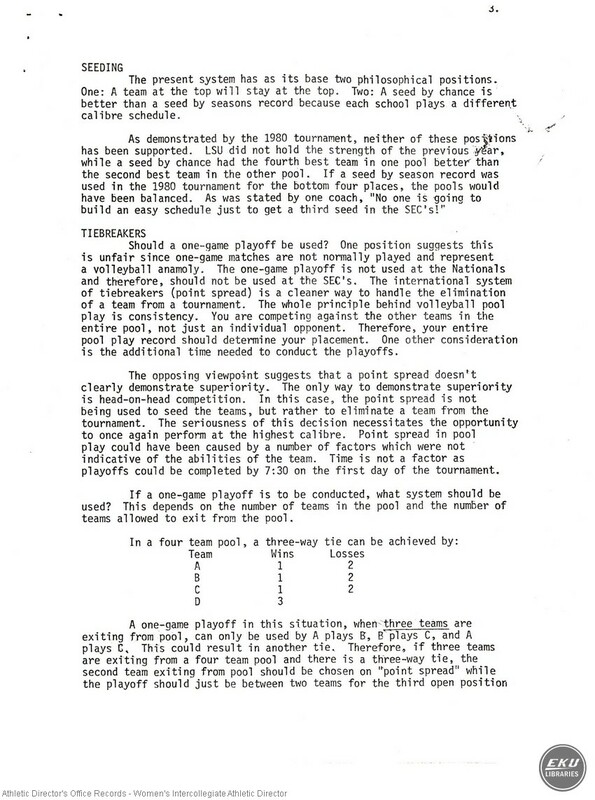 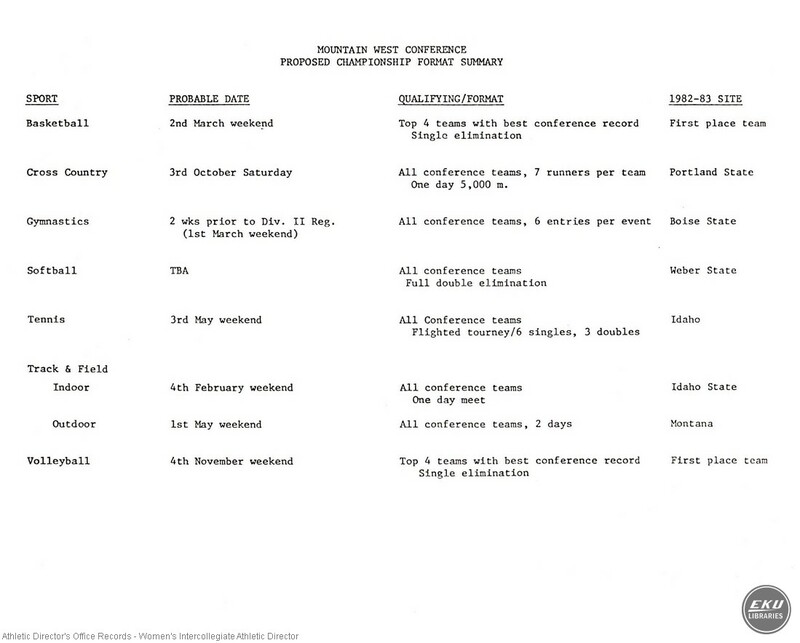 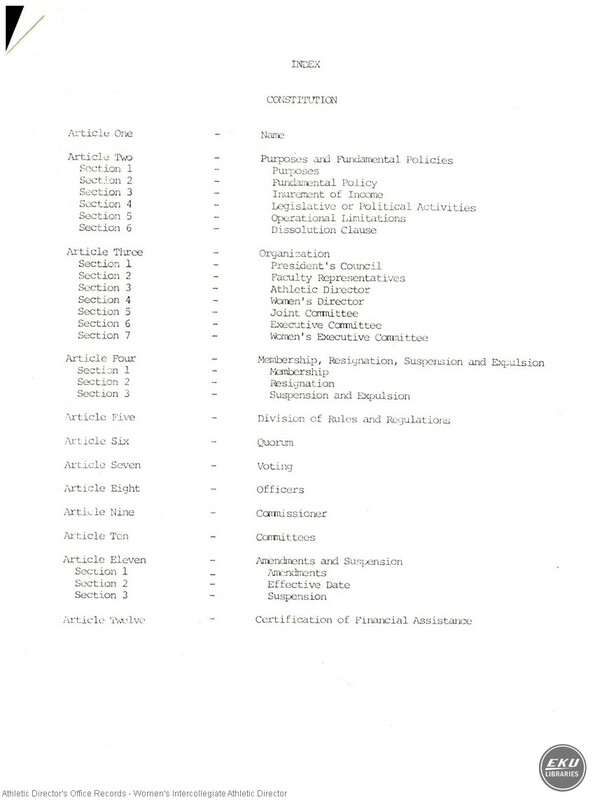 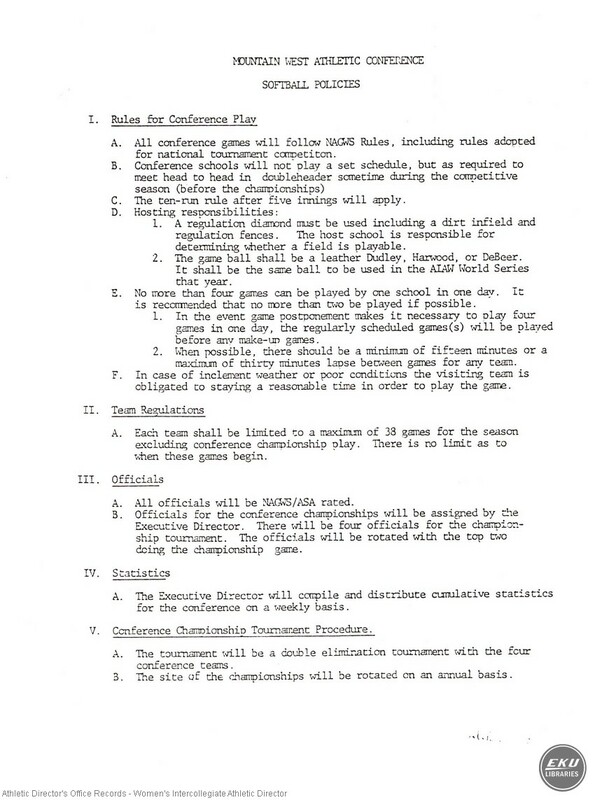 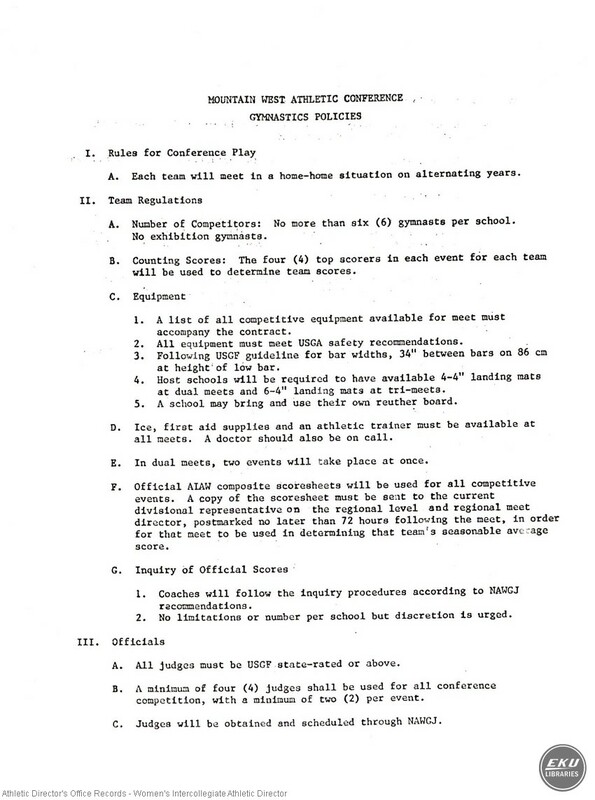 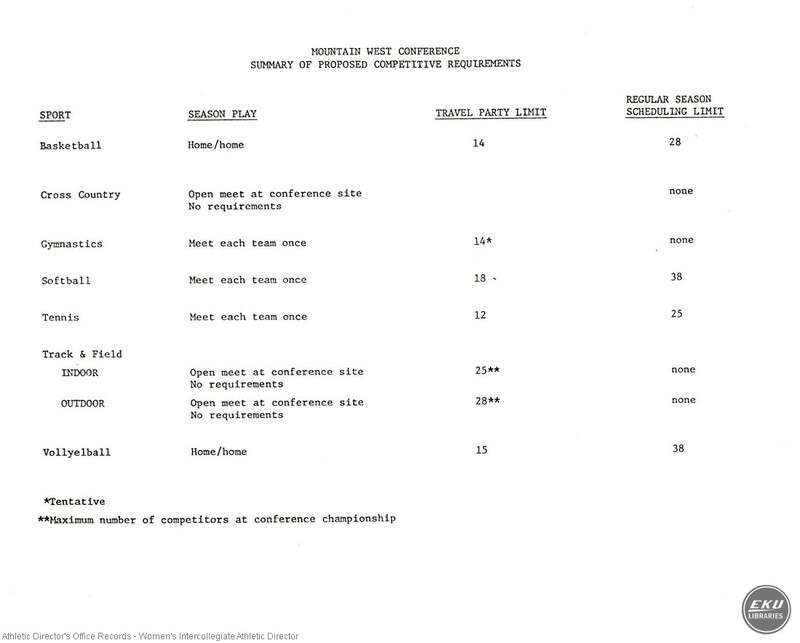 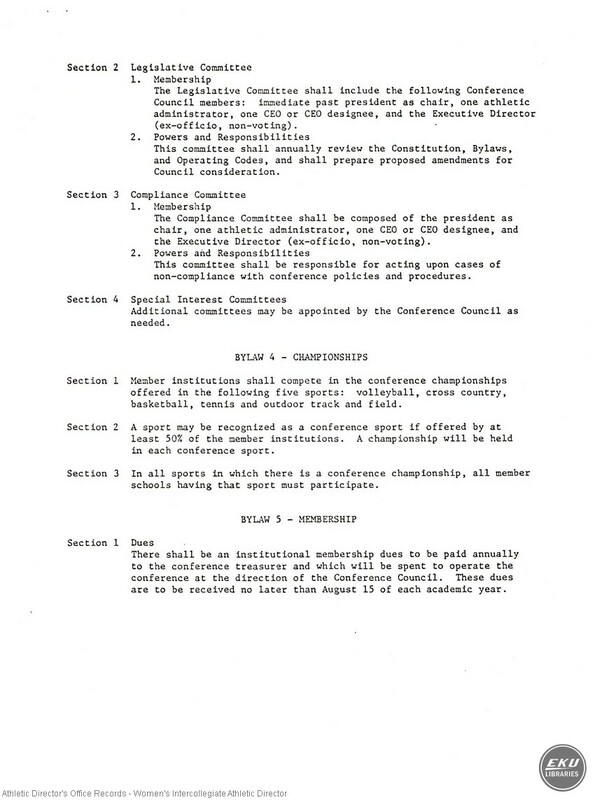 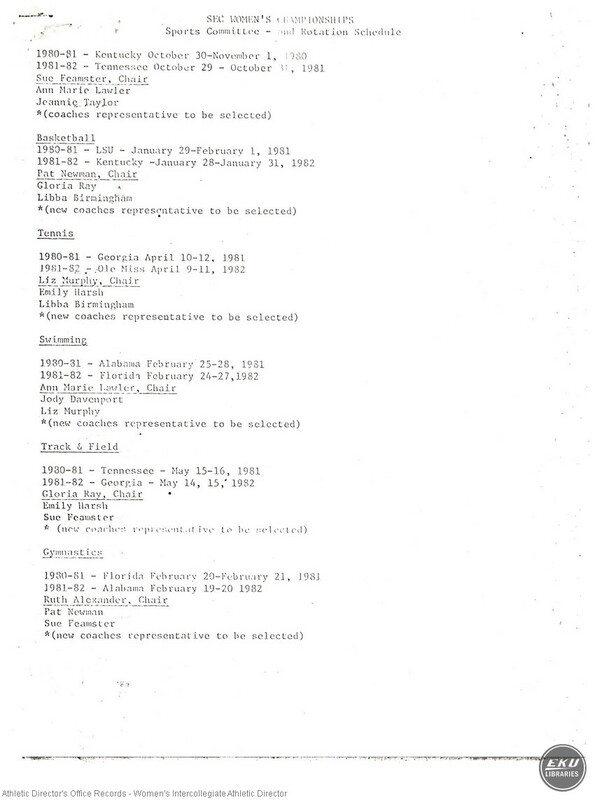 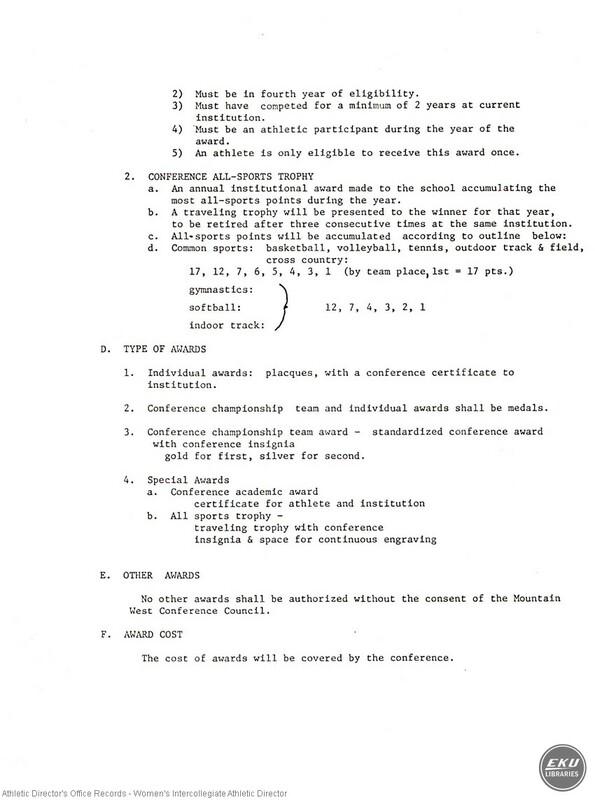 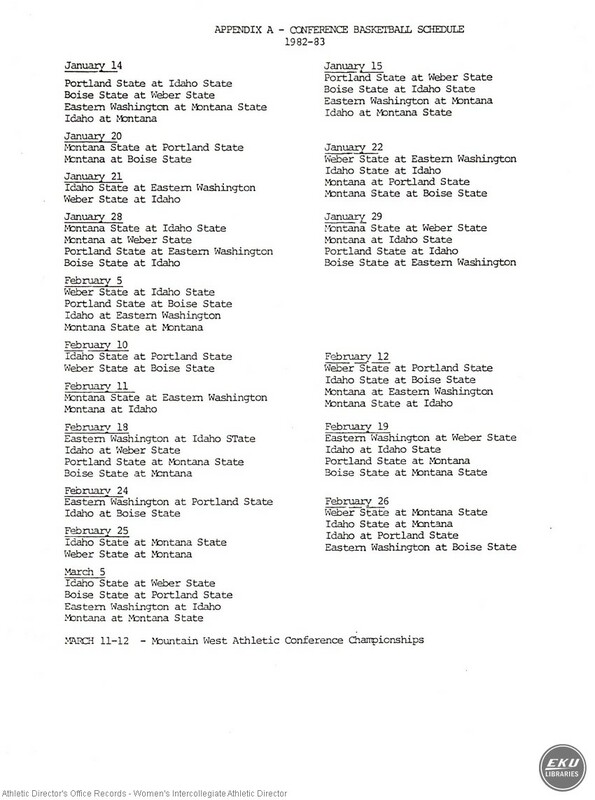 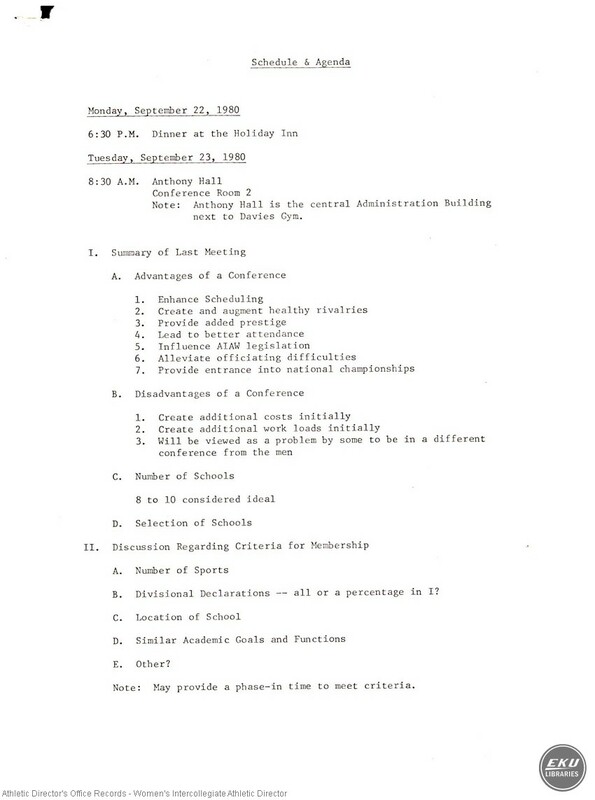 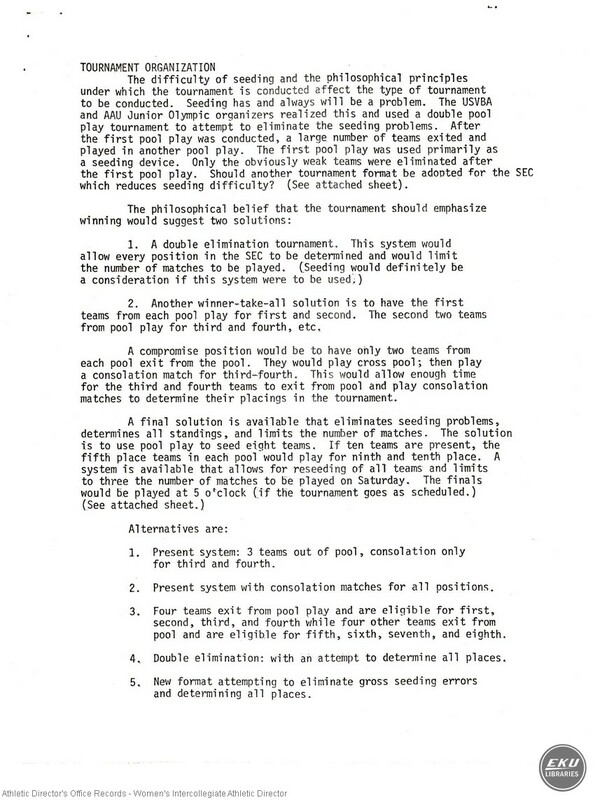 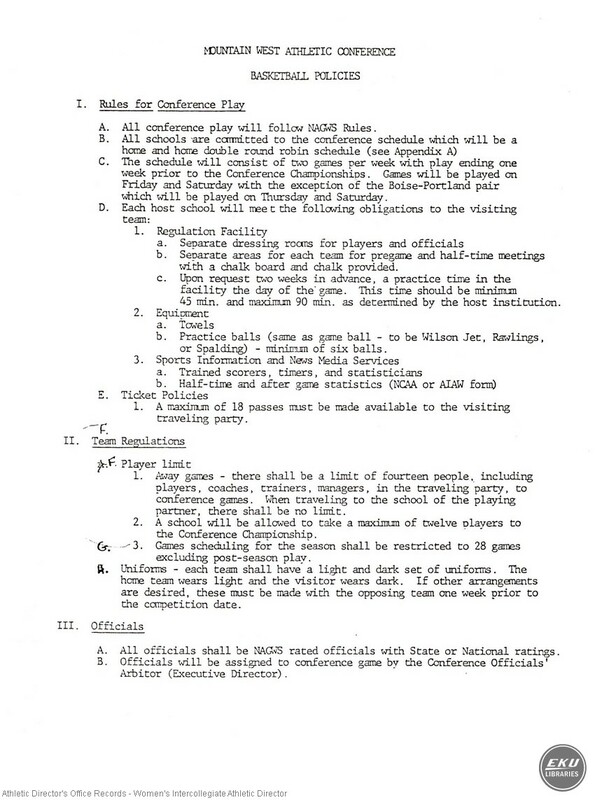 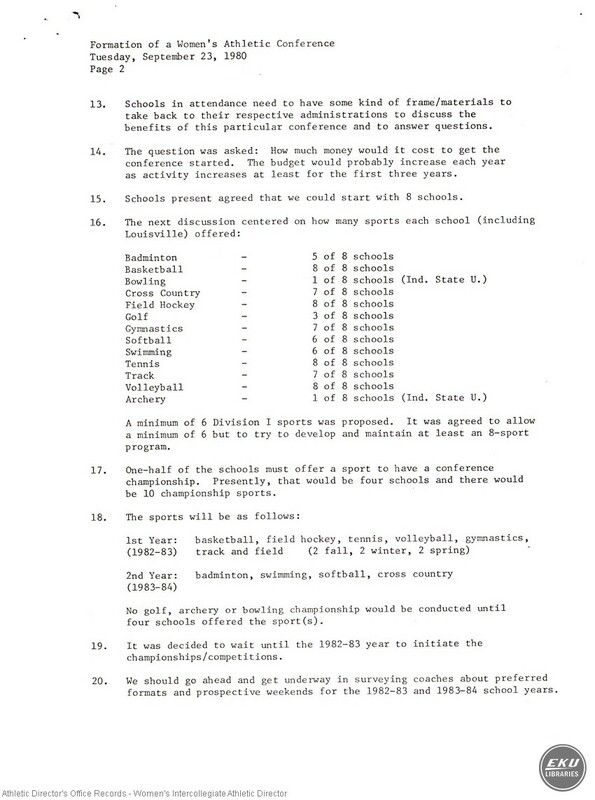 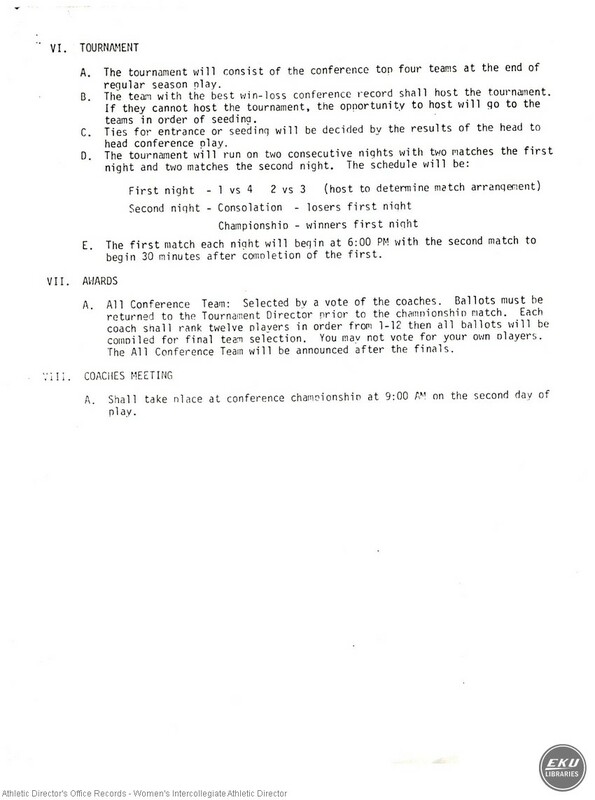 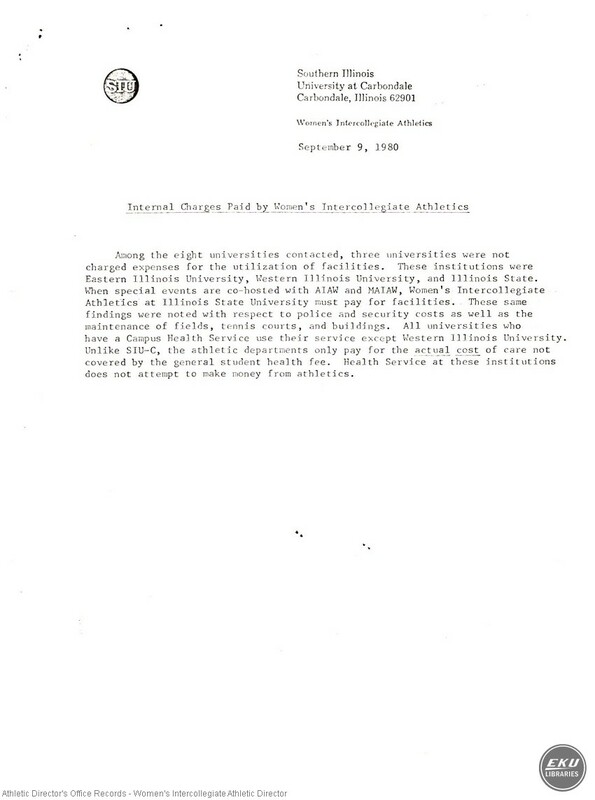 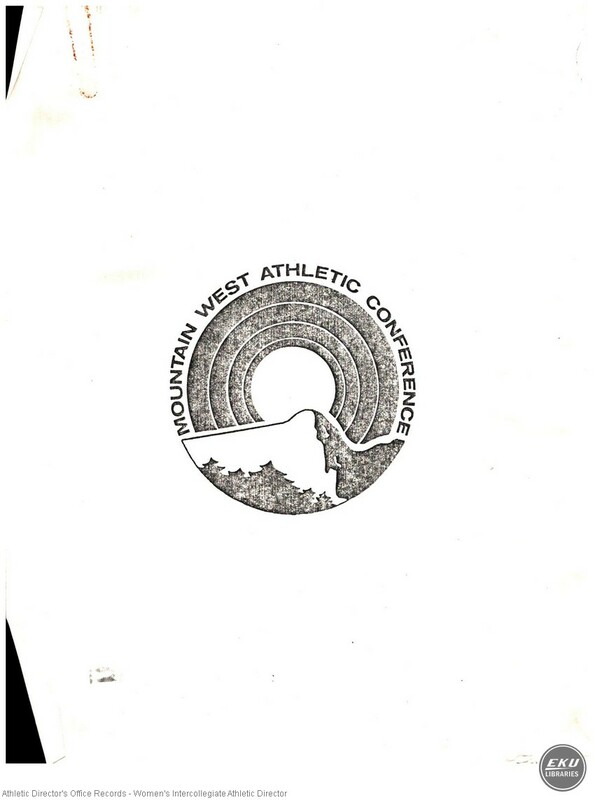 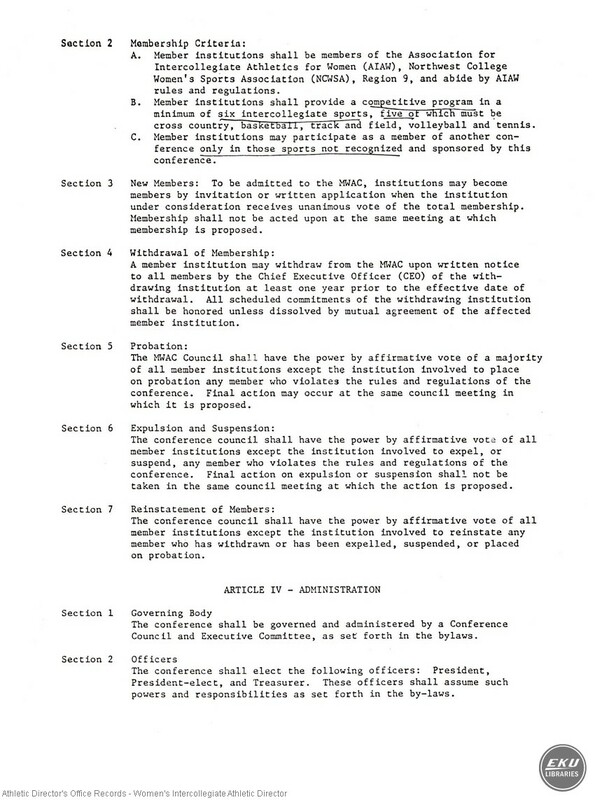 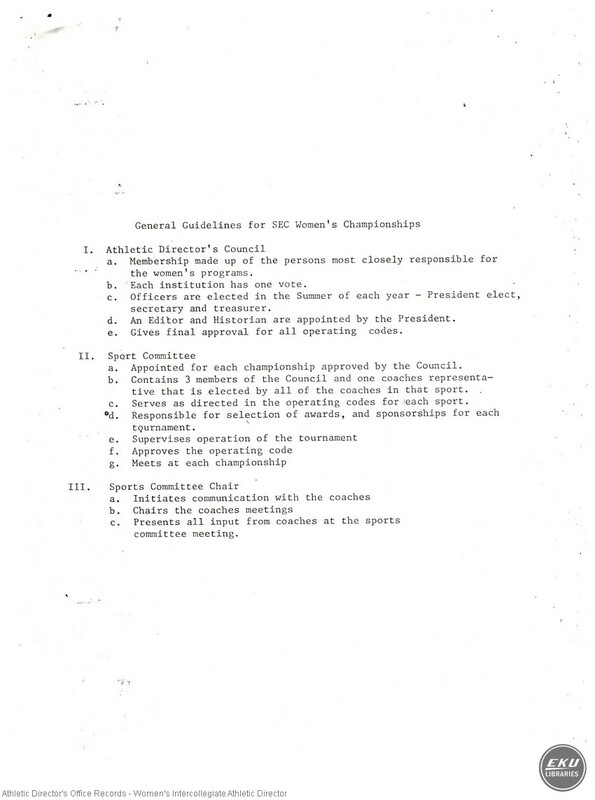 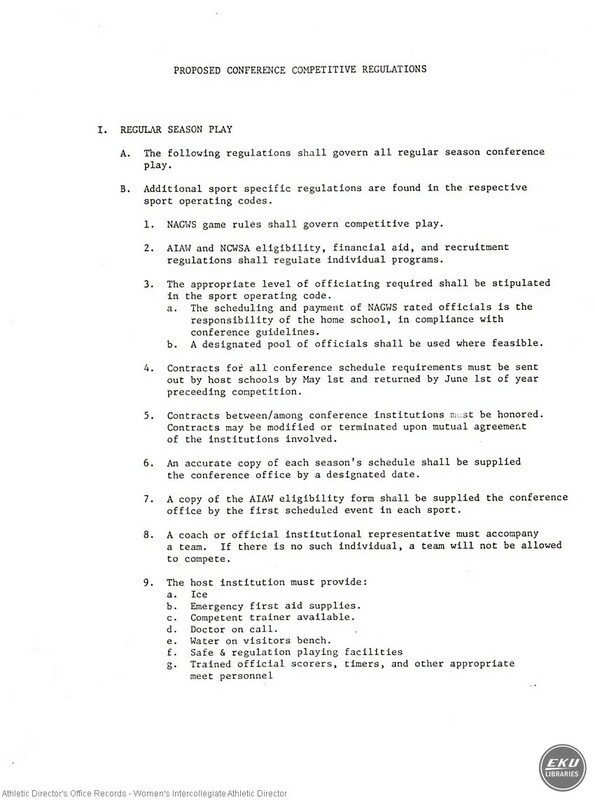 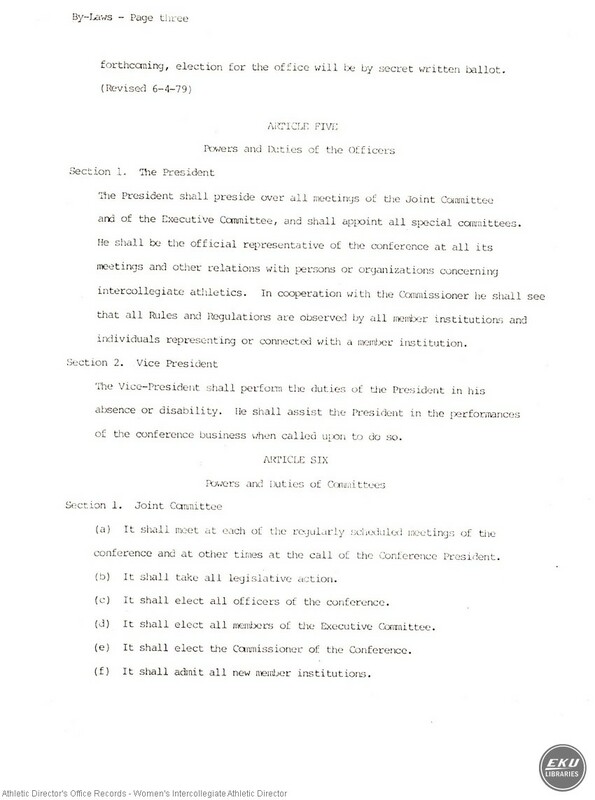 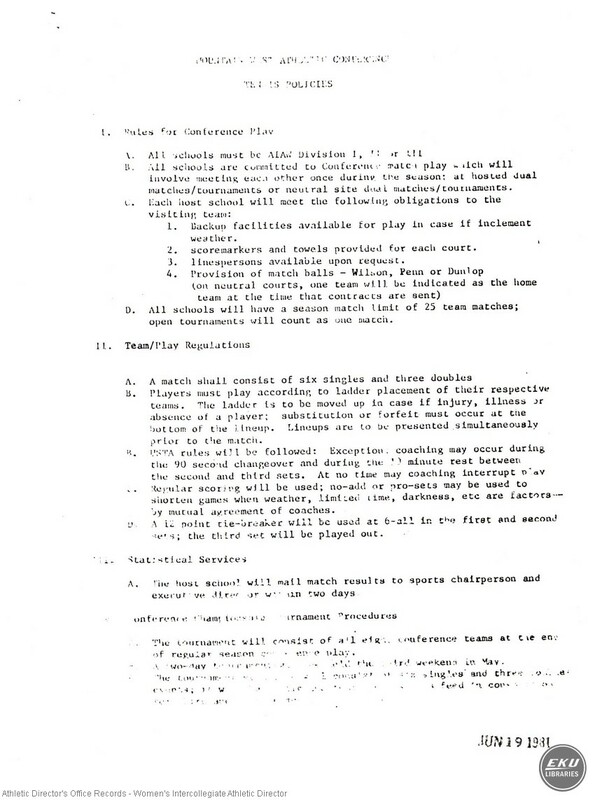 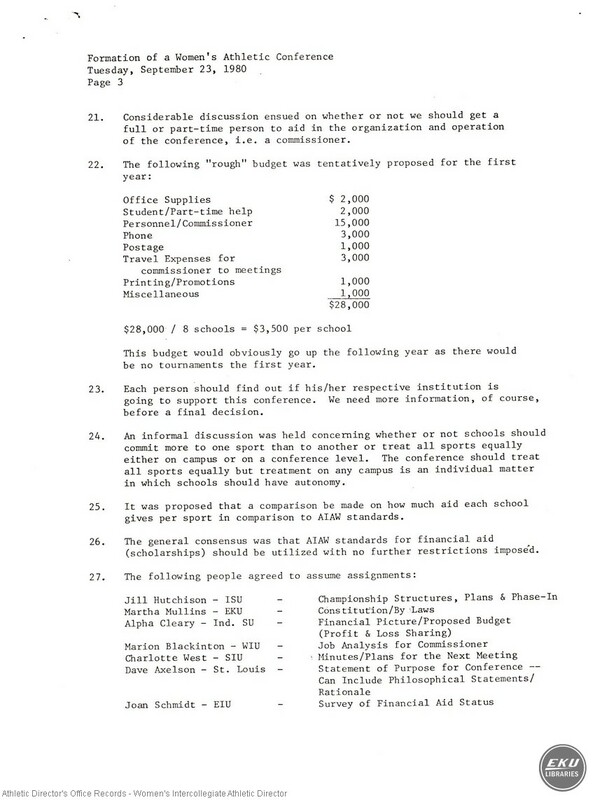 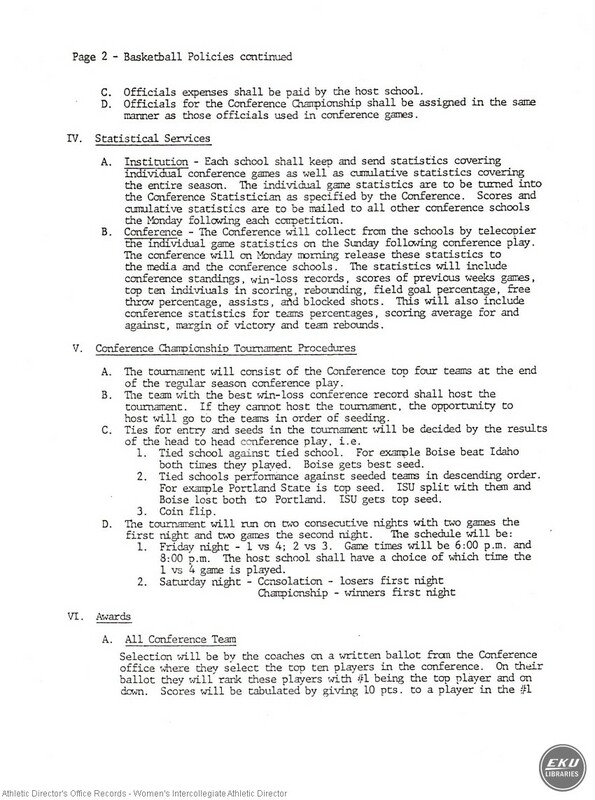 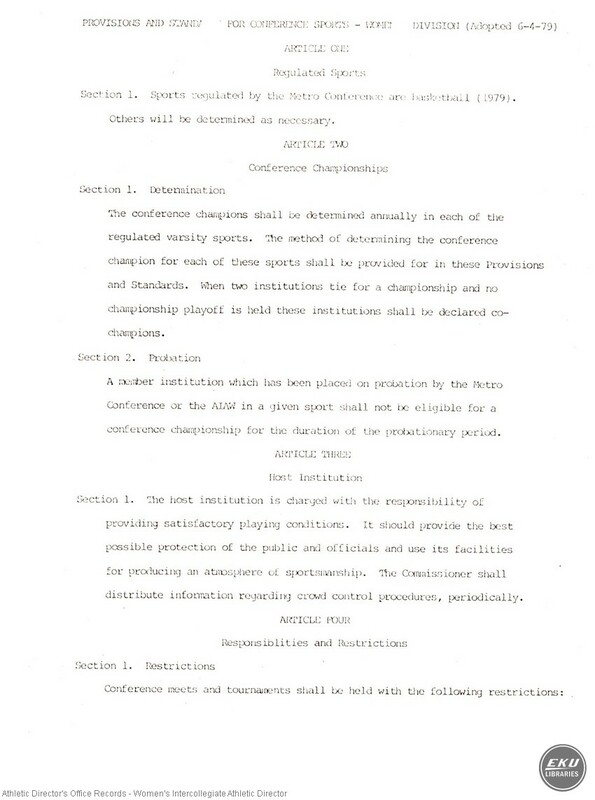 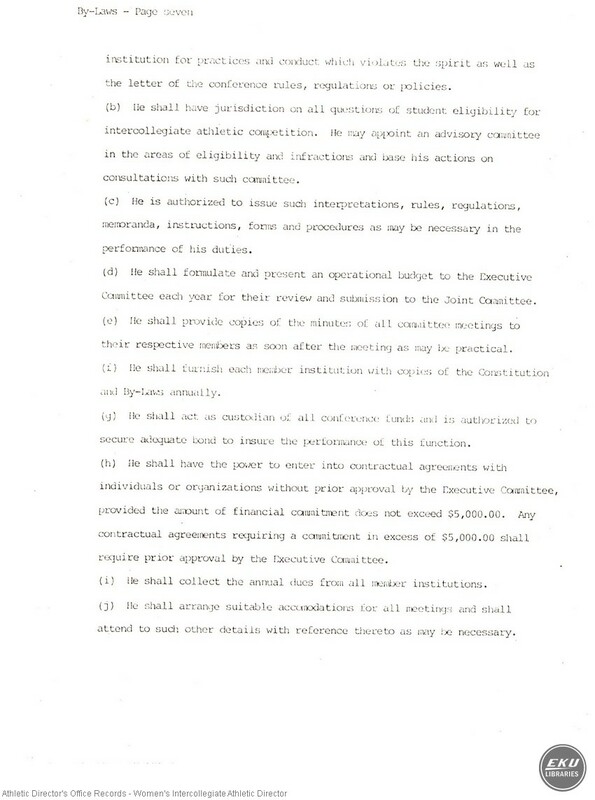 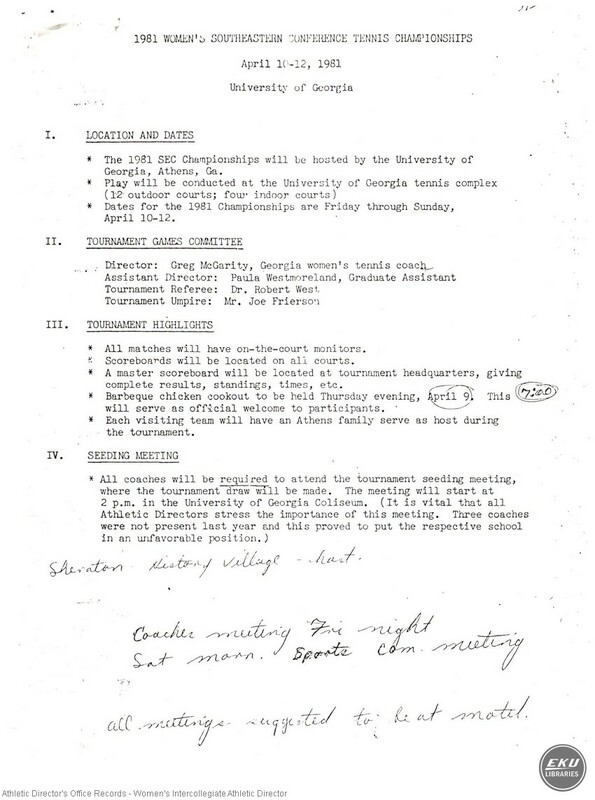 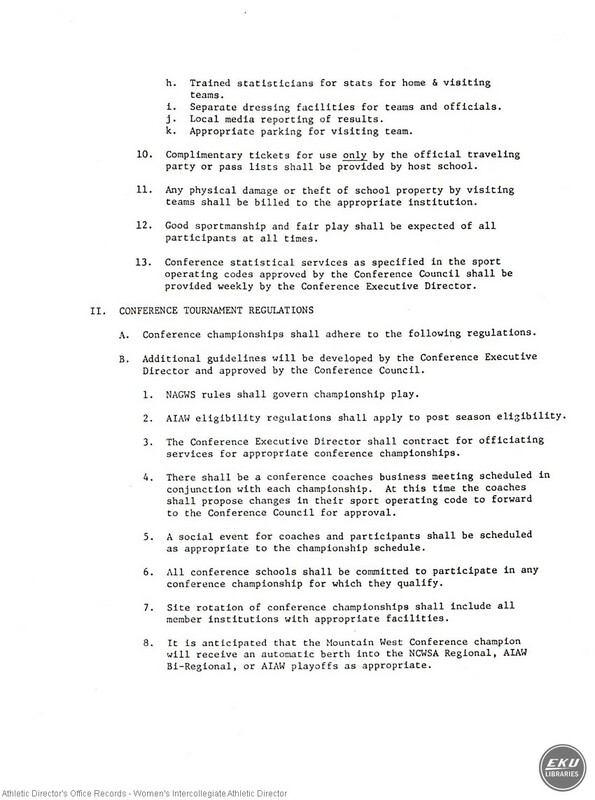 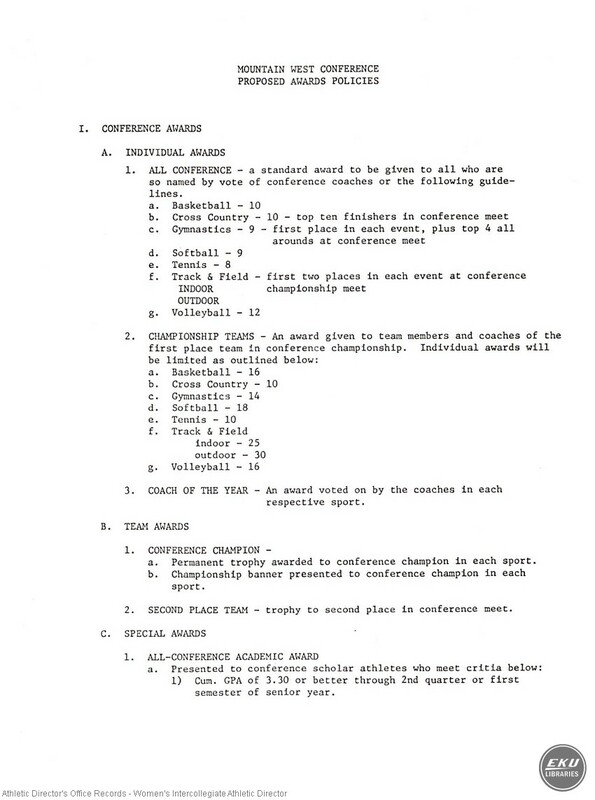 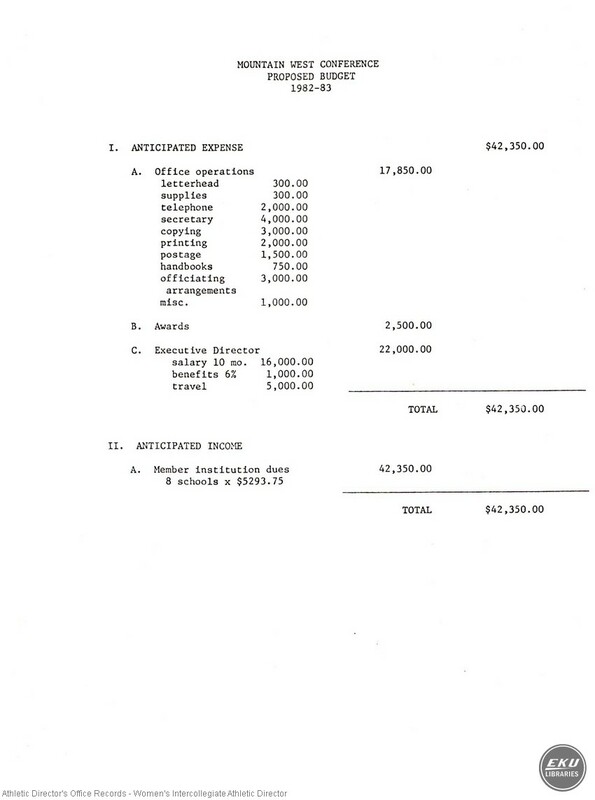 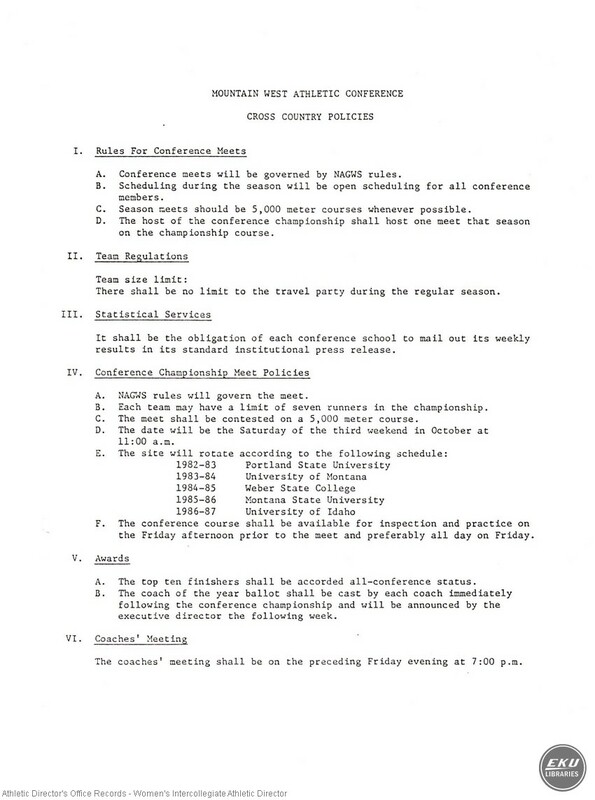 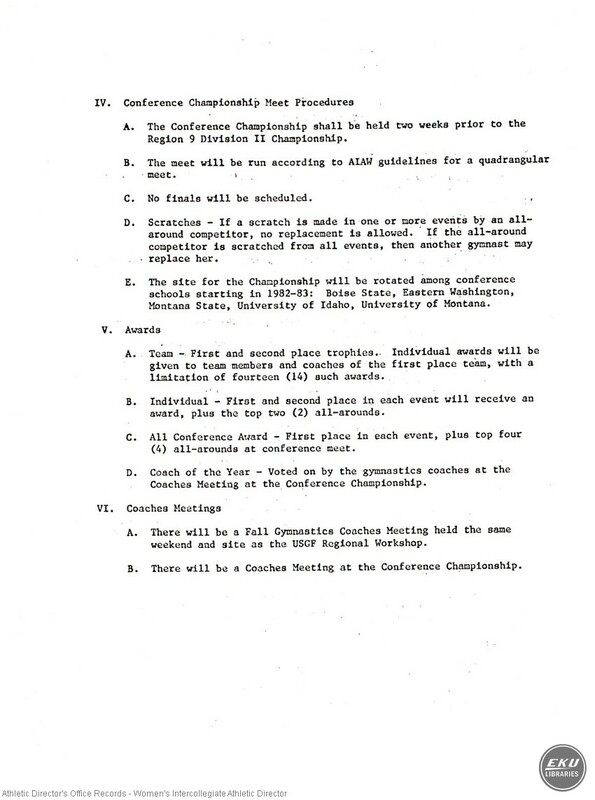 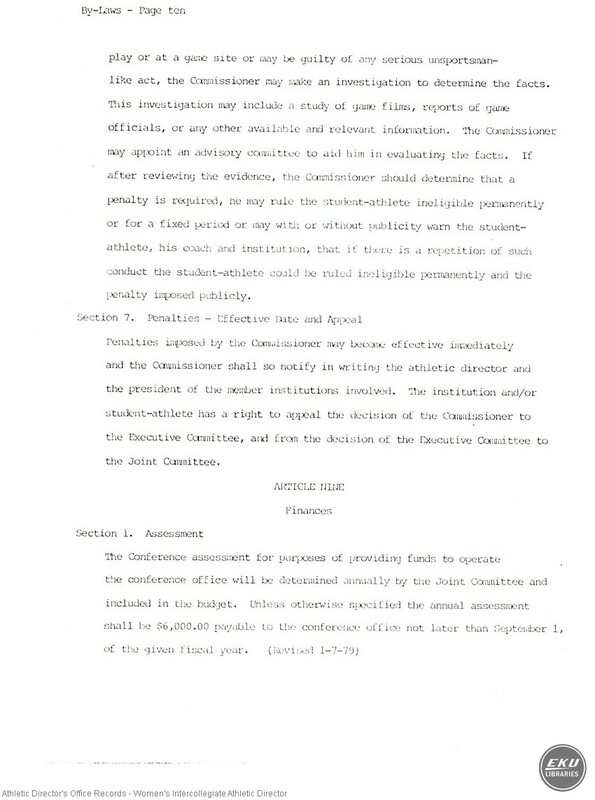 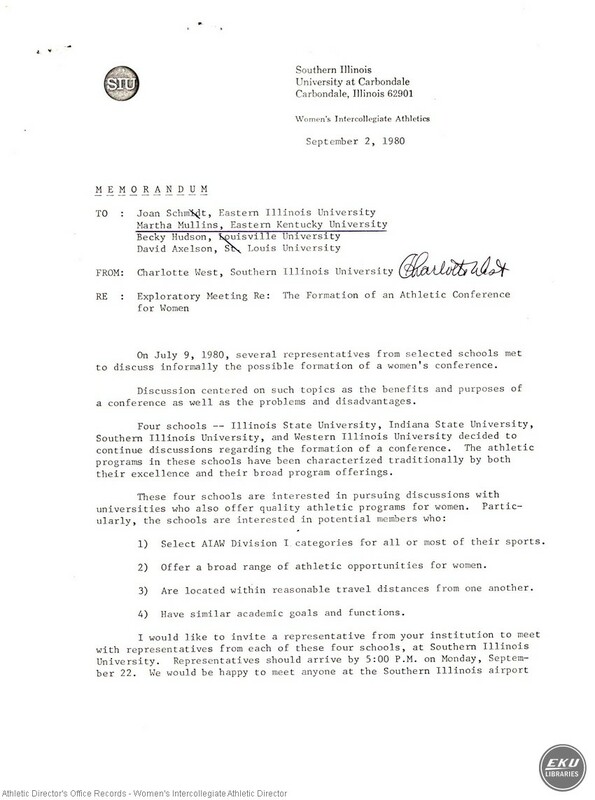 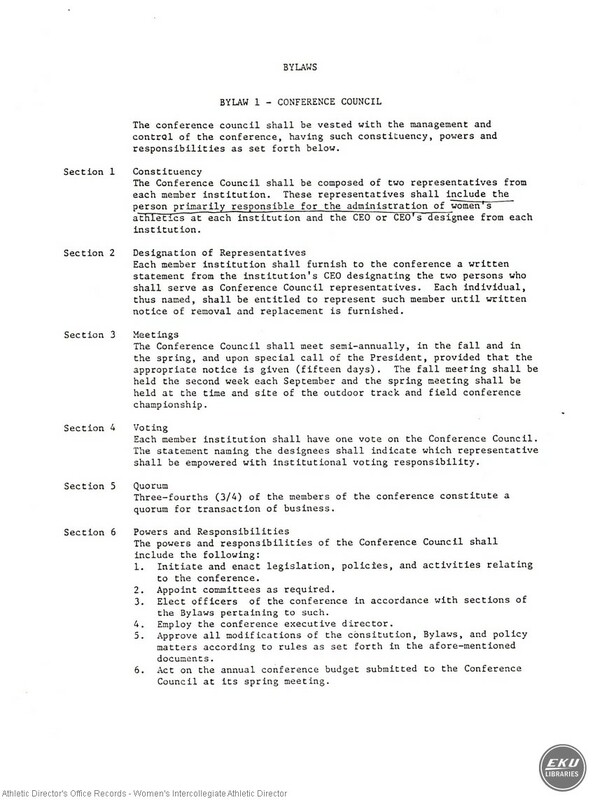 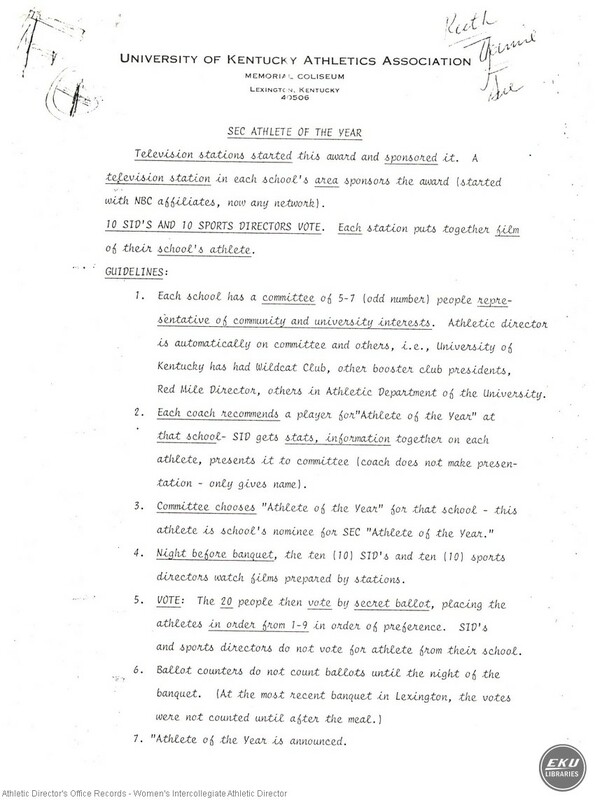 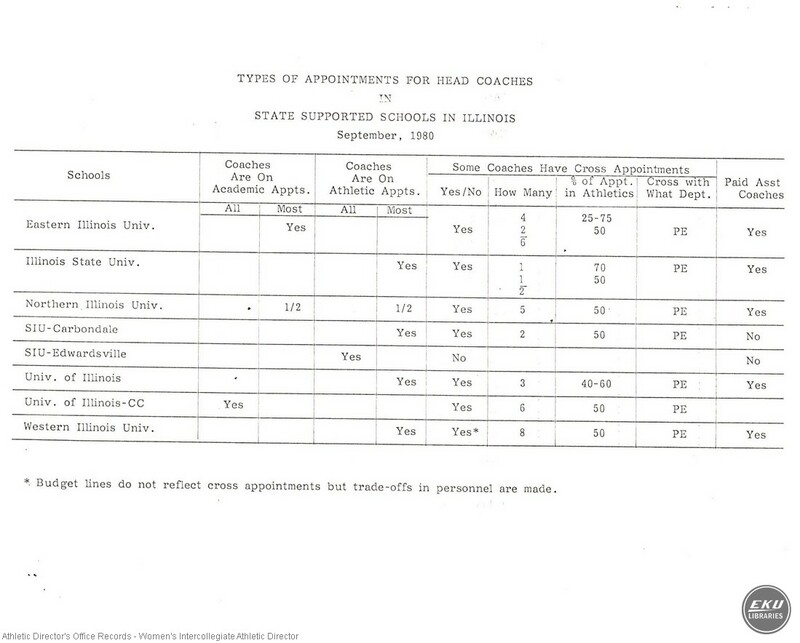 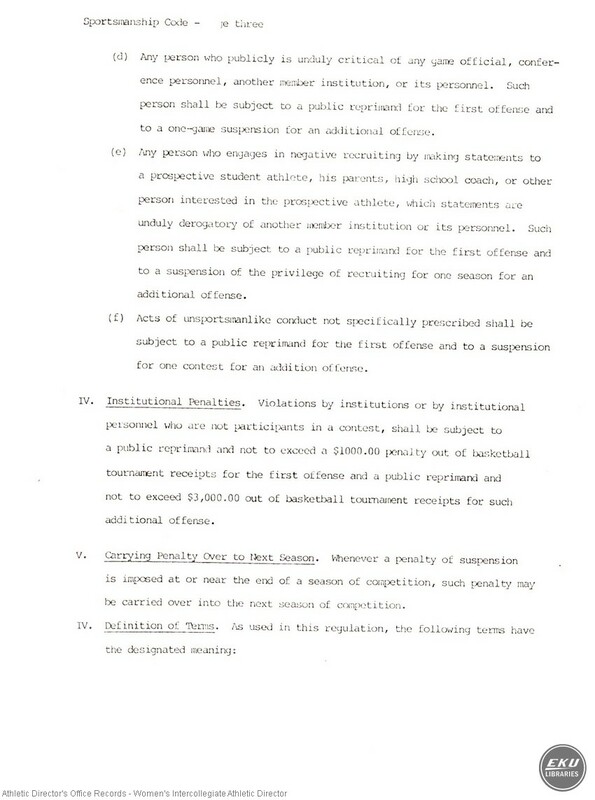 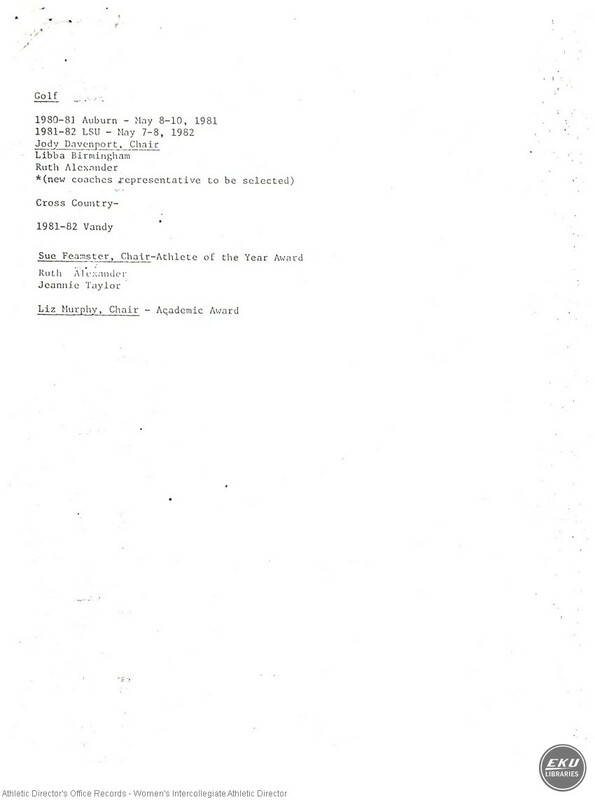 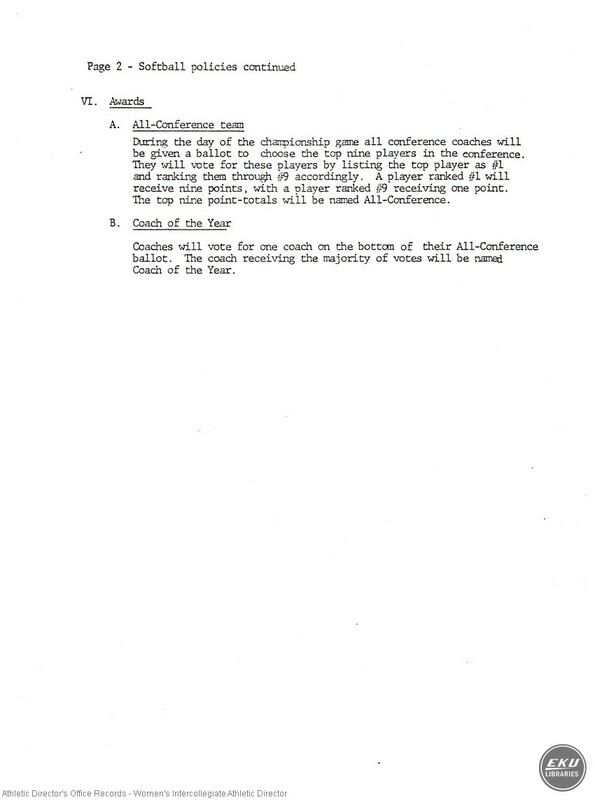 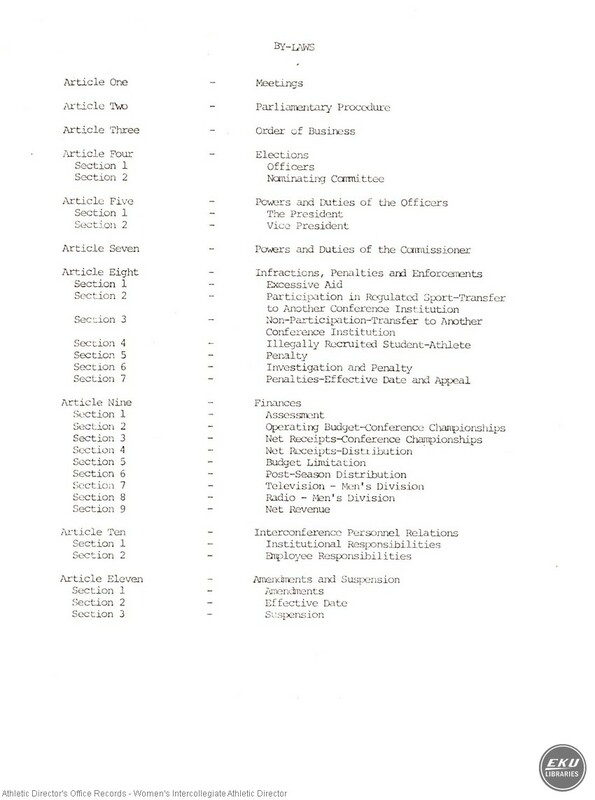 “ Women's Athletic Conference Proposal,” Digital Collections, accessed April 19, 2019, https://digitalcollections.eku.edu/items/show/12517.